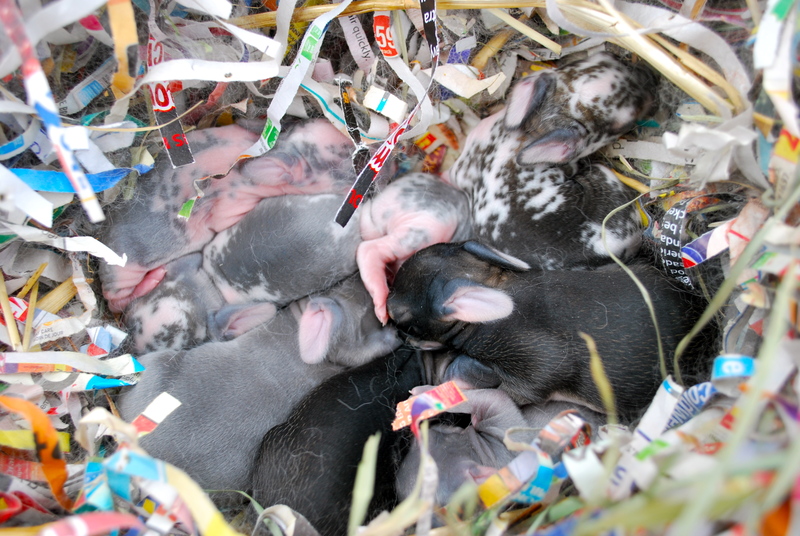 Bluefin broke a record with her first broken litter and had them at 33 days. So far that’s the longest gestation period we’ve ever seen here. But I don’t mind as long as everyone is healthy. 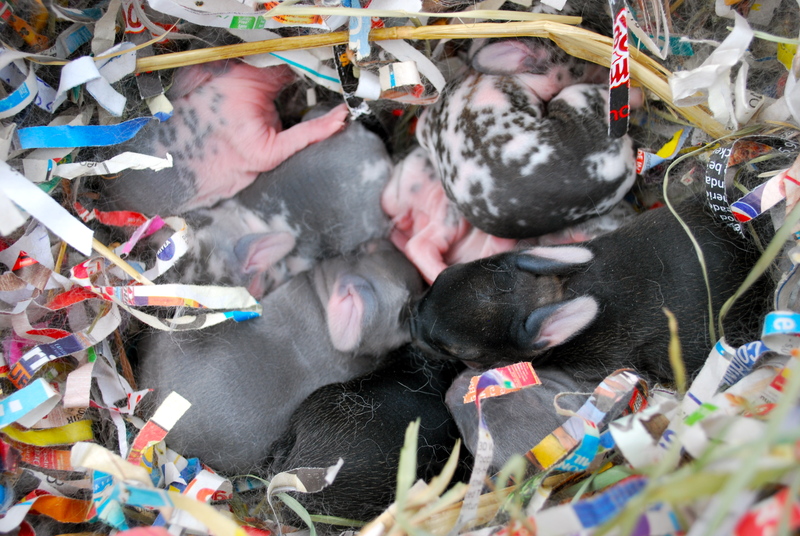 She had eight beautiful little bunnies that are a combination of what look like mostly blues, broken blues, black otter and one broken castor. The blues might turn out to be opals too, we’ll have to wait a few weeks to see what develops. The one broken castor is very cute and has a lovely intricate pattern with a stripe down his back. Bluefin barely pulled any fur at all this time around, so it’s a good thing the days and nights are still pretty warm. In any case, they have lots of cozy bedding and each other to keep them comfortable. 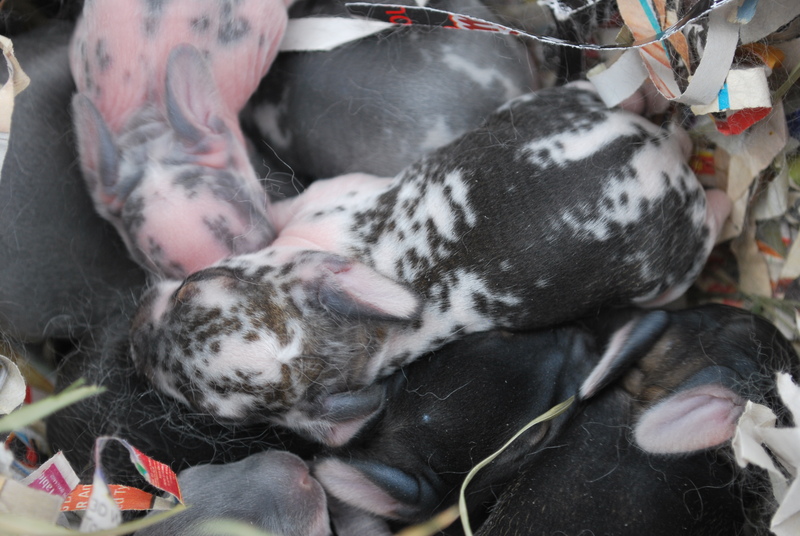 This entry was posted in rabbits and tagged broken standard rex litter, standard rex. Bookmark the permalink.